I like measuring. So I bought a National Distortion Meter. It is the VP-7701a. This device is capable of measuring the distortion of an sine audio signal. And can be useful to calibrate vintage audio equipment. When the base distortion levels are extremely low, I can measure devices and discard the base distortion. But when the base distortion levels are significant, then I would have to subtract these levels from the measurement each time I do a measurement. Which I do not want, because it is a hassle. It has all kinds of tests on it: frequency sweep, fase checks etc and also sine wave tones across the audio spectrum. 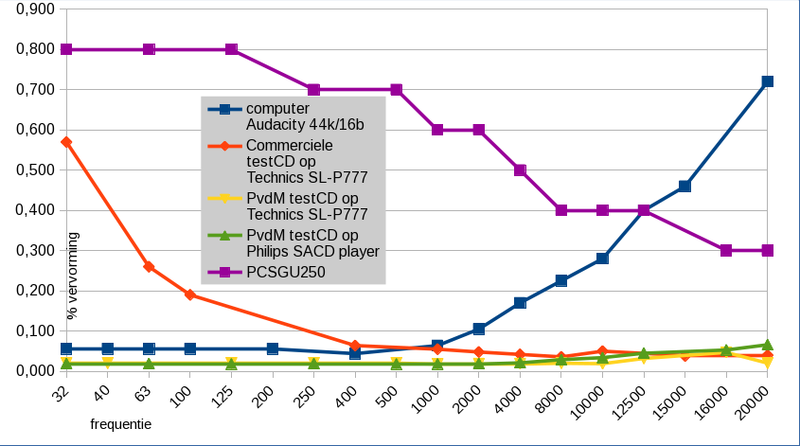 The results show that both my soundcard and the commercial testCD are useless for my measurements. The CD that I made myself is a lot better. It performed marginally better on my Technics SL-P777than on my Philips DVD 963SA player (SACD). The result is such that I think that the base distortion is low enough to not take it into account when I start to measure real equipment. 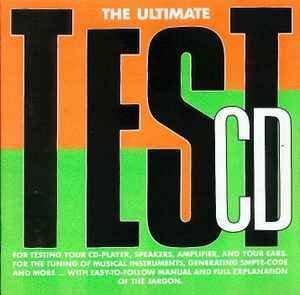 So I will be using this CD as my source for sine waves. One side note: my CD is recorded at 0dB level, so the player outputs 2,5V which is rather high. I may have to make a second CD where the levels are lower, like -10 or -20 dB. This entry was posted in Audio on 15/01/2017 by Philip van der Matten.